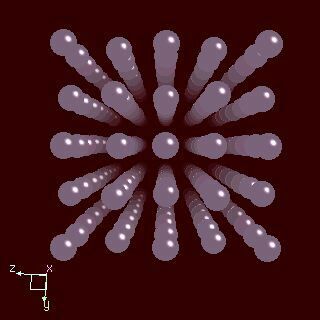 Krypton crystal structure image (ball and stick style). 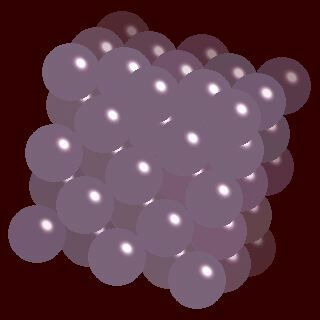 Krypton crystal structure image (space filling style). Ruhemann and Simon, Z. Physik. Chem. Leipzig, 1931, B15, 389.